Baby boomers are on the cusp of retirement, but the ability to afford their desired lifestyle is at odds with their preferences, according to a recent report by The NHP Foundation (NHPF), an affordable housing nonprofit. 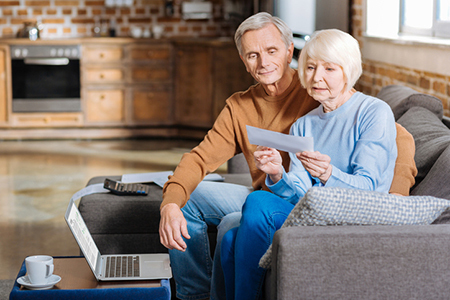 Of the boomers surveyed for the report, 85 percent want to be in the home they have now in retirement, but, of those, 76 percent have no budget for retirement, or anticipate half of their income will be Social Security—not enough to sustain, according to The NHPF. Despite the disconnect, 83 percent are confident their current home will be their home in retirement; just 17 percent believe they will have to move. There are boomers who are concerned about housing, however; in fact, housing is one of their three top worries: being unable to afford healthcare (cited by 36 percent), being dependent on their kids (28 percent), and having to live in a home outside their standards (22 percent). For boomers, affordability is the No. 1 factor in their housing in retirement. One-thousand Americans aged 50 and older (non-retirees) participated in the report.